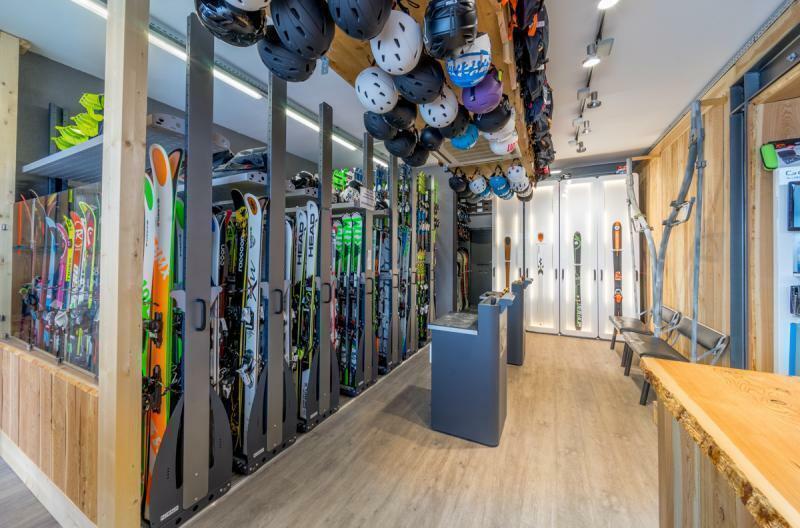 Découvrez dans cette rubrique toutes nos gammes de Rental Ski à Orcières-Merlette 1850 dans notre rental SKI CENTER. Store located on the slopes, near the ESF meeting and 50m from the tourist office. The dreamed ski for children under 1.10m ! Skis from 70 to 90 cm. Sticks and helmets are not desired in the Garden.. Skiing for a first approach of the big slopes. Reserved for children under 1m40, up to the 2nd star and foot-size 39 max (helmet mandatory for ski lessons).. The ideal material for the first slides. The skis of the future champion, advised from the 3rd Star, until the first "flèches" and "chamois". For young people from 1m20 to 1m60, foot-size max 41 (helmet mandatory for ski lessons).. Powerful and versatile skis to progress safely. A woman ski tolerant and accessible to discover the joys of skiing in confidence. A man ski tolerant and accessible to discover the joys of skiing in confidence. High performance equipment for skiers looking for sensations.. Performing and versatile skis: Track / Off piste. The skis used by the ESF Club arrive at Ski Center. The range of your champions to challenge the opener during the "flèches" and "chamois". For young people between 1m45 to 1m70. Foot-size 41 maximum..
Freeride skis for young people between 1m45 to 1m70. Size 41 maximum. Never seen renting!. Top-of-the-range skis to meet the requirement of skiers wishing to go quickly on track or speak off piste.. Skis upscale to meet the requirement of skiers wanting to go fast track or speak off the track.. Pure performance in all conditions with the most upscale skis on the market for you to rent..
XXL skis designed for the pleasure of freedom, with fats on foot..
Exit marked trails and ski lifts. Discover the mountain differently with perfectly adapted equipment: Pack with skis, bindings Marker Alpinist 2019, telescopic sticks, skins and knives..